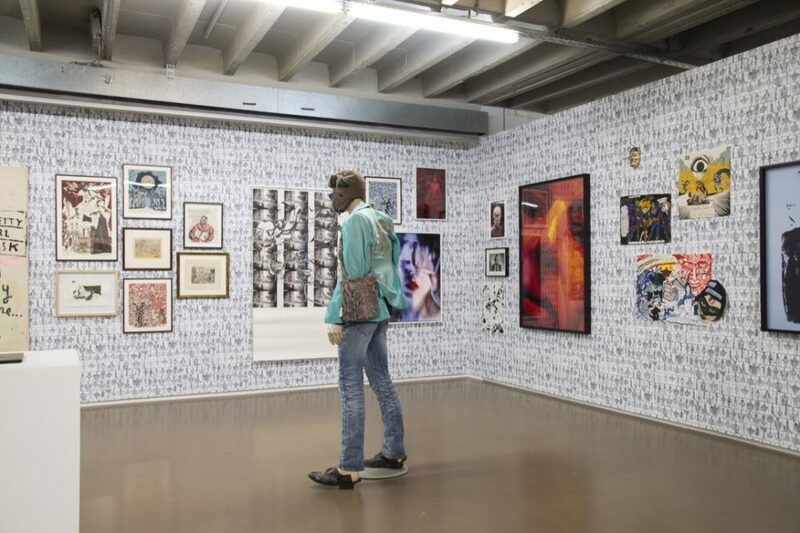 Following the success of its previous edition in Belgium, Independent is establishing the importance of a new approach to an art trade fair during its second edition at the Vanderborght building in Brussels. This year, the event features 70 exhibitors and non-profits, including 30 first-time participants, presenting solo, site-specific, and collaborative projects. Matthew Higgs, the founding curatorial advisor, is responsible for the alternative display method that flows through the five floors of the building. Unlike other trade shows, this is a free access event and there are no specific sections, which allows both the highly informed and the uninformed visitor to be led by its subjectivity, independent of categorization and line-up. On the ground floor, the tall blank walls introduces us to works by Musa Paradisíaca, Silvestre Pestana and Dan Rees, the picks of Galeria Múrias Centeno, followed by the selection of Office Baroque – a group presentation by Catharine Czudej, Alexandre da Cunha, Leigh Ledare, Kirsten Pieroth, Daniel Sinsel, and Junko Oki (who now has a solo show at the gallery). maraca, hemp string, acrylic, linen, 213,5 × 152 × 10 cm (84 × 59 2/4 × 3 7/8 inches). Courtesy Office Baroque. boro and japanese paper in old wooden box of Japanese pottery factory, 63,5 × 42,5 × 9,5 cm (25 × 16 5/8 × 3 5/8 inches). Courtesy Office Baroque. 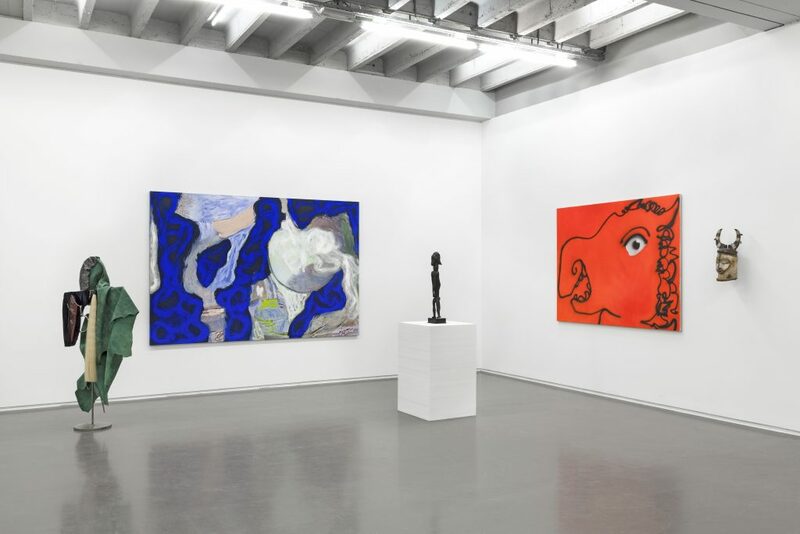 Peres Projects proposes a surprising combination, merging works by the contemporary artists Donna Huanca and Austin Lee with Classical African sculptures from Gabon. 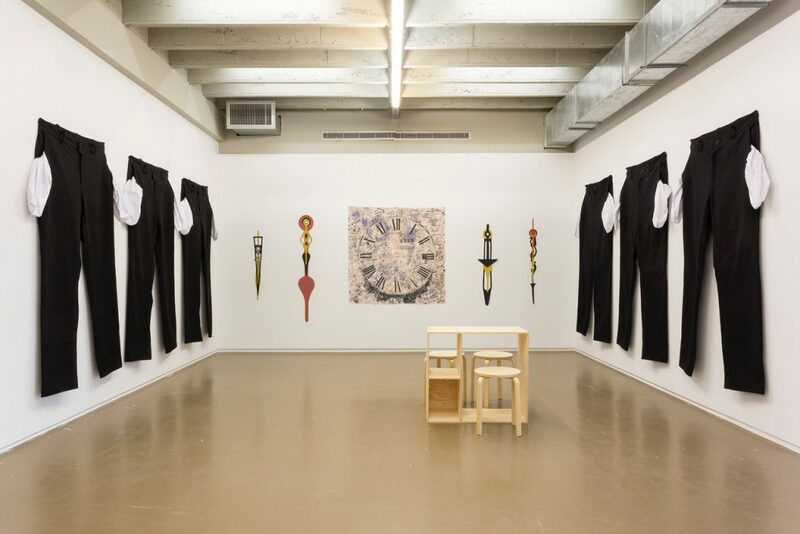 This integration that might seem odd at first is well-documented on previous gallery shows, since Javier Peres is an avid collector of African art. 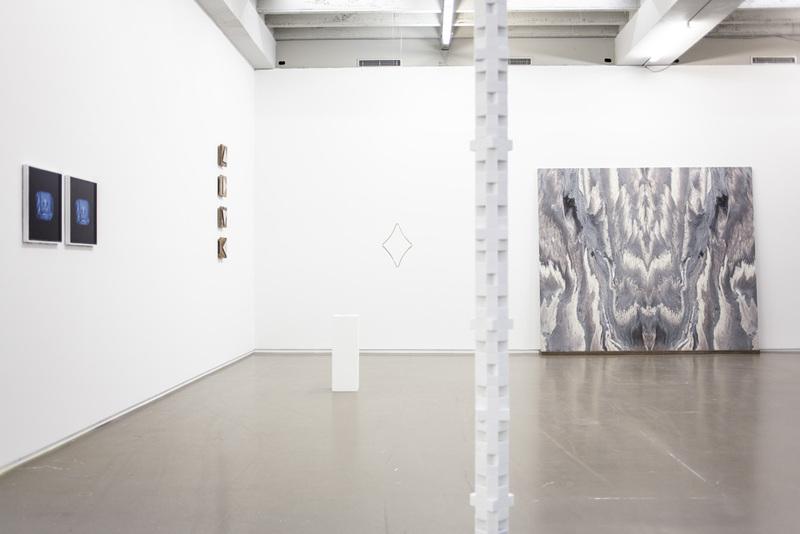 Independent Brussels 2017, Installation view, April 19 – 23, 2017. Courtesy Peres Projects, Berlin. Photographer: Sebastiano Di Pellion. Still on the ground floor, we find Germaine Kruip’s solo presentation at The Approach’s curated stand. Ideas of perception, ritual, history, and the antagonisms of science and religion are present across the five different displayed pieces – a site-specific marble modular totemic sculpture; a mind-defying apparent pictorial artwork resembling a Rorschach test, which is in fact composed by two symmetric giant marble slabs; the ‘Kannadis’ ritual mirror objects; and ‘Drop’, a device made to project a falling drop of water and play with notions of perception of fluid movement and still image. Germaine Kruip at The Approach – Independent Brussels, 2017. The exciting journey of discovery continues on the first floor. Mendes Wood DM, from Latin America, is one of the first time participants. 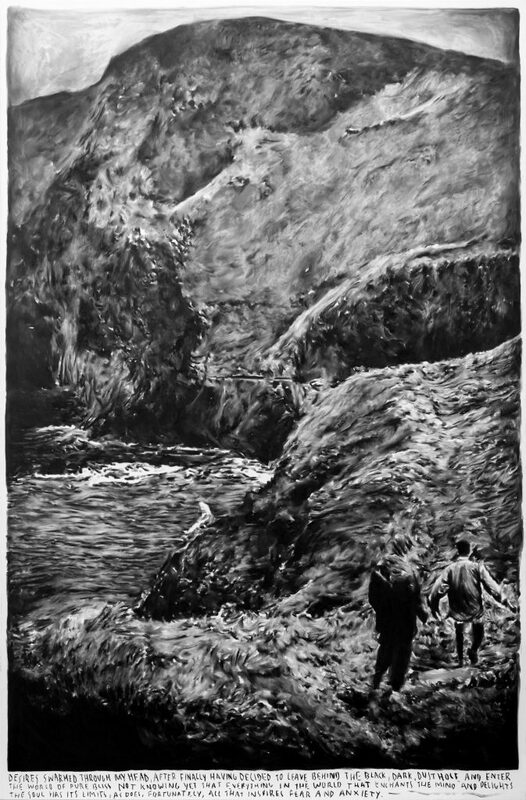 Their presence at the fair coincides with the opening of their new gallery location in Brussels. A big highlight of this edition is Marcel Dzama’s curated show ‘Mask Makers’ at David Zwirner’s booth. 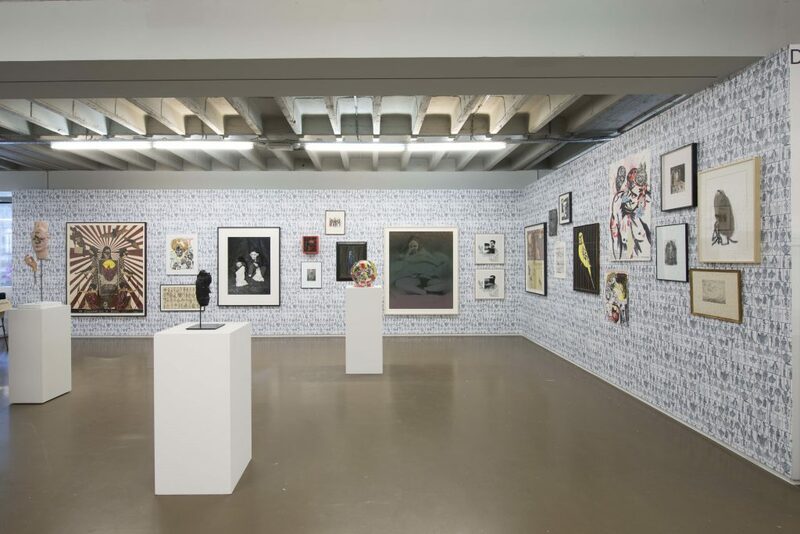 As noted by Marcel Dzama, “Be what you want to be, the mask is freedom, anonymity, a new identity or gender, and bridging us to the afterlife.” A completely transformed space in which the artist’s work serve as wallpaper becomes a mini museum of contemporary and historical works, much like a cabinet of curiosities. The theme of the mask is introduced in many forms and languages, including the sculptures in the center of the room. 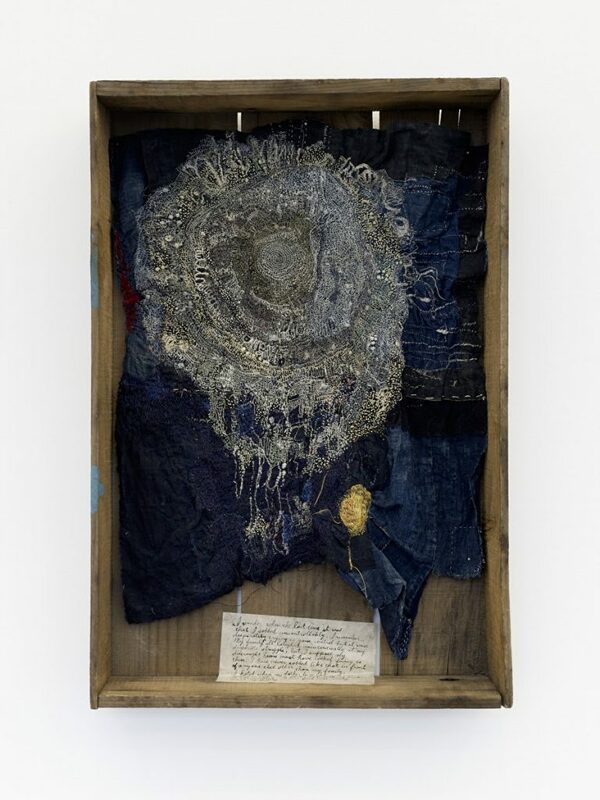 While combing through four walls, the viewer comes across works by gallery artists (such as Mamma Andersson, Marlene Dumas, Sherrie Levine, Al Taylor, and Wolfgang Tillmans) as well as by James Ensor, Peter Doig, Cindy Sherman, among many others. In essence, it is a true exploration of the theme, an enclosed moment of Art History, and the delight to discover more and more details we might have missed. Installation view of David Zwirner’s booth at Independent Brussels, 2017. Courtesy of Independent Brussels. Tim Van Laere Gallery, one of the first-time participants, brings to the fair a work by Rinus Van de Velde especially made for this presentation (‘Desires swarmed through my head …’). 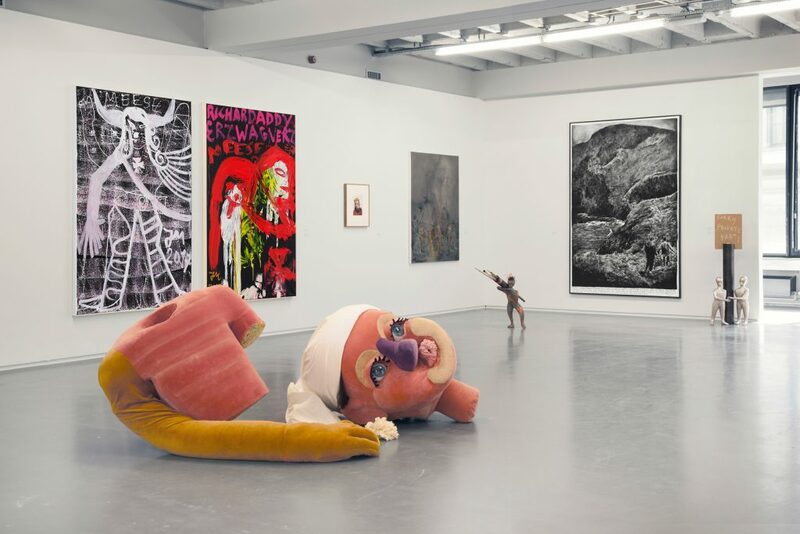 The gallery’s group show includes works by Jonathan Meese (who currently has his third solo exhibition at the gallery), Adrian Ghenie, Kati Heck Ben Sledsens, among others. 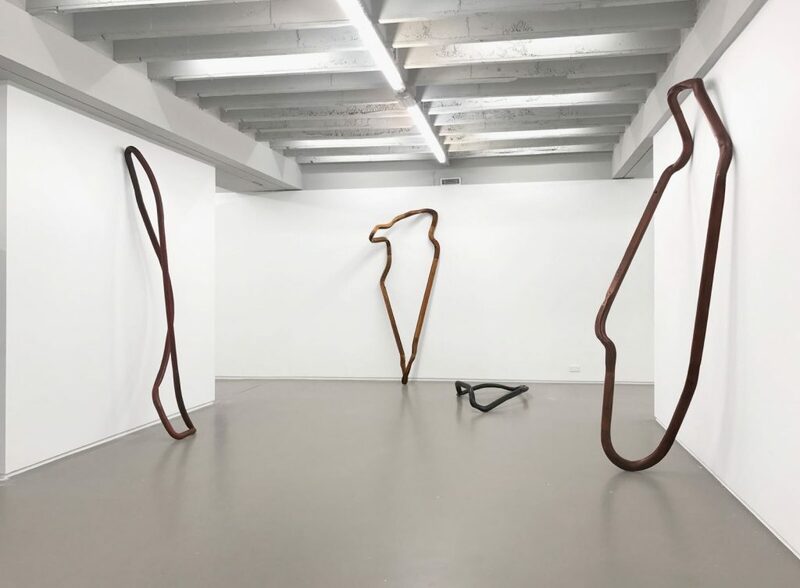 Installation view Tim Van Laere at Independent Brussels, 2017. 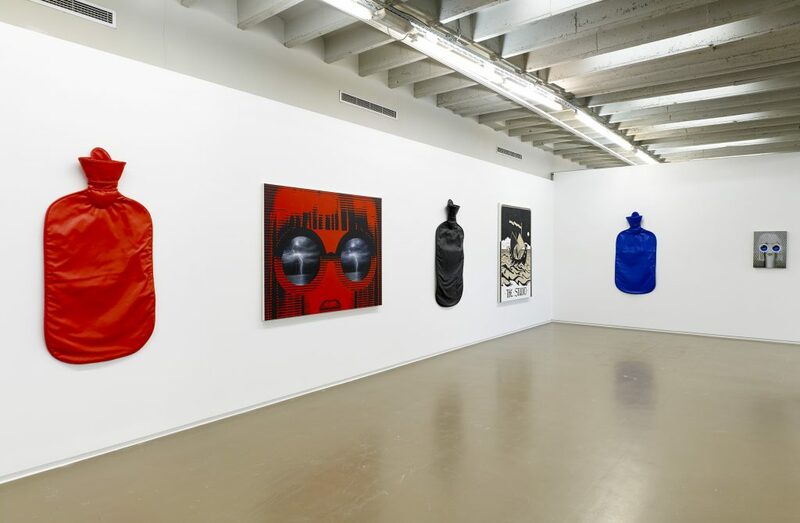 Courtesy Tim Van Laere Gallery, Antwerp. ‘Desires swarmed through my head …’ 2017 charcoal on canvas, artist frame, 240 x 157 cm. Courtesy Tim Van Laere Gallery, Antwerp. On the third floor, alongside Maureen Paley (showing works by Wolfgang Tillmans, Gillian Wearing, among others) and the remarkable newcomer Sprüth Magers, Nika Neelova is one of the artists making her debut in Belgium with a solo project at the Vigo Gallery stand. Here she presents a poetic work about absence and the memory of touch. Four sculptures shaped as infinity loops made of reassembled staircase handrails contain an almost ghostly dimension of time. Nika Neelova, solo presentation, Vigo Gallery at Independent Brussels, 2017. Courtesy Vigo Gallery. One floor up, Elizabeth Dee, co-founder of Independent, shows works by Leo Gabin and Steven Parrino. 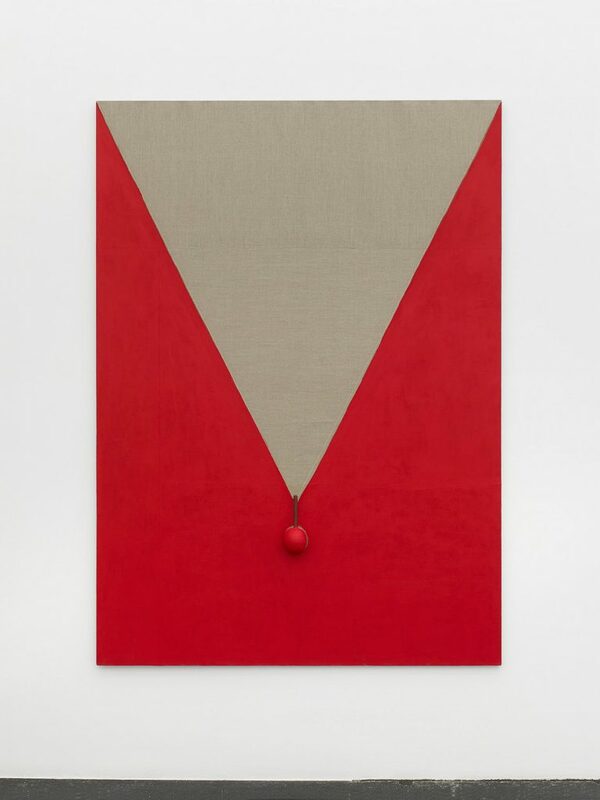 At Praz-Delavallade’s stand we find a solo show by Amanda Ross-Ho. The artist introduces us to familiar objects that, by being scaled up, create a strangeness in their dialogue with the viewer. The artwork assumes a theatrical nature. In this case, handmade garments (inspired by Charlie Chaplin’s ‘Modern Times’) are repeatedly reproduced. Timepieces filled with scribbles appear without their hands. The large scale hands are now individual pieces – hours, minutes, and seconds pointing in the same numberless direction. Mary Mary also exhibits works by Amanda Ross-Ho. This time, three scaled up hot water bottles establish a chromatic and theatrical dialogue with Emily Mae Smith’s portraits as if we were in a pop sci-fi plot. The fully feminine figures that seem to be removed from printed issues, with their trimmed bobs and fashion week-worthy sunglasses, don’t have a distinct head shape. They could even be a masked broomstick. Satirically enough, the sunglasses of these overdressed broomsticks either reflect or contain outer space views, thunderstorms, or are in constant lookout for another world.